Each scholarship has its’ own set of eligibility criteria (such as school you are currently attending, course of study you intend to pursue, etc.). You will need to answer several questions to determine your initial eligibility before you will be able to complete and submit applications. To return to an application in progress, please use the purple button on this page. Do not click on the “Click here to begin application” link; you’ll have to start over! Our online applications work best in the latest versions of: Internet Explorer, Firefox and Safari. We do NOT recommend using the Chrome browser to complete applications. Applications cannot be submitted without all required information and paperwork. If you are using a Mac, please do not upload documents using the .pages file extension. If you experience difficulty with the online application process, please check our FAQs by clicking here or contact Jenna Cuilla at jcuilla@cfgcr.org or (518) 446-9638. Ad Club Scholarship (up to $3,500): For high school seniors or full-time college students, who are planning to enroll or currently enrolled at a Capital Region college or university, who are majoring in public communications, marketing, graphic arts, public relations, or any other communications-related curriculum. Due date: March 19, 2019. Ellen Barrett Bevins Scholarship for Heatly High School ($730): This scholarship will be awarded to a senior from Heatly High School who plans to attend an accredited trade school, college or university (located in the United States) in pursuit of a degree or vocational certification. The student must demonstrate how he/she has given their time, effort and unselfish commitment to Heatly High School. Due date: March 19, 2019. Bebu Scholarship ($2,900): Established to provide scholarships for minority or economically disadvantaged students planning to attend SUNY Adirondack. The student must be academically high-achieving and be able to prove financial need. Due date: March 19, 2019. Austin & Co. Inc. Scholarship (up to $1,000): The Austin & Co., Inc. Scholarship Fund was established to recognize outstanding service and achievement by Austin & Co., Inc. employees and their families. One award will be given for expenses related to education or educational enrichment activities (examples: educational summer camps, certification program, travel, or similar educational experiences). Due date: March 19, 2019. Michele Brunette Scholarship Fund ($2,600): For a graduating senior from Troy High School who has demonstrated academic achievement, leadership skills, and evidence of financial need. The recipient must have clear career goals and must be accepted to either a two- or four-year college or university. Due date: March 19, 2019. Michael J. Campbell Memorial Scholarship ($1,600): This award is intended for a graduating senior enrolled in a High School Vocational Education Program in Albany, Columbia, Greene, Rensselaer, Saratoga, Schenectady, Schoharie Warren and Washington County of New York State OR a freshman already enrolled in a college or university in pursuit of an Associate’s Degree in Construction Technology, Building Construction/Building Trades, Carpentry AAS or AOS, Construction Technology (with carpentry minor), or Construction Technology/Building Construction. Due date: March 19, 2019. One application qualifies the student for two scholarships. Click here to begin application for the Schenectady Chamber Foundation Scholarship or the Chuck Steiner Memorial Scholarship. The Schenectady Chamber Foundation Scholarship – One award of $1000 to a graduating senior of a Schenectady County High School with a GPA between 80%-89%. Please note: if your GPA exceeds 89%, your application will not be considered for this award. Due date: March 19, 2019. The Chuck Steiner Memorial Scholarship – One award of $1000 to a graduating senior of a Schenectady County High School that demonstrates diverse interests and local community service. There are no academic requirements for this award. Due date: March 19, 2019. The Unified Military Affairs Council (UMAC) Scholarship (awards of $1,000 each available): For students whose parent(s) serve at one of the following military installations: Stratton Air National Guard Base; Navy Operational Support Center Glenville; Naval Support Activity Saratoga; Nuclear Power Training Unit Ballston Spa; Watervliet Arsenal; or Joint Force Headquarters Latham. Applicants must be entering a technical/trade school or a two or four year college or university in the Fall of 2019. Due date: March 19, 2019. The MVP Health Care Scholarship ($1,000): Two awards of $1000 For a graduating senior from a Greater Capital Region high school planning to enter a 2 or 4 year college or university to pursue a degree in a wellness-related field such as (but not limited to) nursing or medicine, nutrition, physical therapy, occupational therapy, sports or fitness. Due date: March 19, 2019. Tina A. Dailey Memorial Scholarship ($5,000): This scholarship honors the life of Tina A. Dailey. It is awarded annually to a senior at Shenendehowa High School who intends to pursue an education and career in elementary education. Applicant must have a minimum of an 80 average and plan to attend a 2 or 4 year college or university in the fall. Please see the guidance department at Shenendehowa for an application form. Anthony and Josephine DeFazio Culinary Scholarship – ($500) For a graduating senior in the Culinary Arts program at Questar III planning to continue his or her education in the Culinary Arts. Due date: March 19, 2019. Joette P. Delia Curiano Scholarship ($1,000): For a graduating high school senior planning to attend a four-year college to pursue a heath care or nursing degree from one of the following high schools: Troy High Schools, Schalmont High School, Schenectady High School, or Albany City High School, with demonstrated scholastic ability and the ability to demonstrate financial need. Due date: March 19, 2019. Down Syndrome – Aim High Scholarship ($2,100): To benefit students who will assist those with Down Syndrome by pursuing education and a career in the field of special education or speech, physical, or occupational therapy. Due date: March 19, 2019. Dunham Hollow-West Stephentown Scholarship ($2,500): This scholarship was established in memory of Frank Johnson, who donated real estate to the Dunham Hollow West Stephentown community. This scholarship will enable a student from Averill Park High School to attend and complete a vocational or trade program. Due date: March 19, 2019. Don Forsyth “Circle K” Scholarship ($5,000): To provide recognition and financial assistance to individual members of Circle K clubs who have demonstrated exceptional community service. Due date: March 1, 2019. Peter Gerkman Jr. Memorial Scholarship ($1,000): This scholarship will be awarded to a greater Capital Region high school senior who participated in the high school varsity-level football program. The student must plan to attend an accredited trade school, college or university (located in the United States) in pursuit of a degree or vocational certification. Due date: March 19, 2019. Ruth Goldstein Memorial Music Scholarship ($500): For a graduating senior from a Capital Region high school who will continue on to study music education or music performance. Special consideration will be given to students whose major instrument is of the woodwind family, piano students who accompany others, or students who demonstrate financial need. Due date: March 19, 2019. William Randolph Hearst Scholarship ($5,900): For students who have been accepted into ninth grade at a Capital Region private high school, but would be unable to attend without additional financial assistance. Due date: March 19, 2019. Shirley Kelly Scholarship ($15,100): Established in honor of Mrs. Kelly’s 80th birthday to enable a student from Columbia High School (East Greenbush) to pursue an education and career in elementary education. Due date: March 19, 2019. Edna A. Lauterbach Scholarship (up to $6,000): Established in memory of Edna A. Lauterbach, RN, former president of Competent Care, Inc. and American Care, Inc., this scholarship is open to nurses in New York State who are seeking to enhance their skills through business-related education. Scholarships are awarded to registered nurses and licensed practical nurses residing in New York State. Due date: June 1, 2019. Herbert K. and Isabel C. Liebich Scholarships ($9,000 for two-year scholarships; $25,000 for four-year scholarship): Established to honor the founders of Albany Frosted Foods, one of the original companies to form Sysco Corporation, by awarding a scholarship each year to the children of employees or retirees of Sysco Foods of New York, Inc.. Applications are available each spring from any of the Sysco Foods of New York, Inc. personnel offices. Scholarships are awarded each year to one senior planning to attend a four-year college or university and to two seniors planning to attend a two-year junior college. Due date: March 19, 2019. Click here to begin application for the TWO year scholarship. Click here to begin application for the FOUR year scholarship. For more information, please contact the Niskayuna Community Foundation. Established to provide scholarships for students who reside within the Town of Niskayuna or the Niskayuna Central School District. The student must have been accepted at or planning to attend an accredited college or university. Applicants must have a clearly demonstrated commitment to enhancing the quality of life in Niskayuna. Scholarly achievement will be considered. One common application qualifies you for the following two scholarships. Due date: April 1, 2019. Click here to begin application. The Huether-Gillian Scholarship (up to $880): this need-based scholarship was established in 2007 through the Niskayuna Community Foundation to recognize a graduating high school senior, who is a resident of the Town of Niskayuna or of the Niskayuna School District. 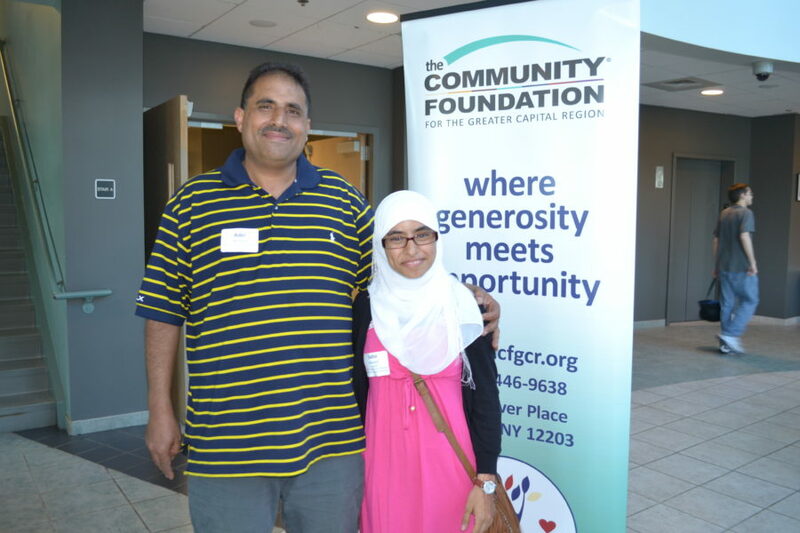 Mr. Huether established a scholarship in memory of his parents to help a community-minded student who needs assistance to further his/her education and who plans to continue to perform significant community service in the future. The Niskayuna Community Service Scholarship Award (up to $1,000): established through the Niskayuna Community Foundation to recognize a graduating high school senior who is a resident of the Town of Niskayuna or of the Niskayuna School District and who has performed significant community service. Gene Robb Journalism Scholarship (up to $4,200): Established to recognize the many significant contributions that Gene Robb, former publisher of the Times Union, made to the field of journalism. The student must have a clearly demonstrated interest in journalism and provide samples of journalistic work. Personal recommendations are required. Due date: March 10, 2019. Lou Rubin and Ike Cohen Memorial Scholarship (up to $6,100): Assists outstanding students who plan to pursue post-secondary education in college and vocational programs. Applicants must be dependent children of full-time employees of designated periodical wholesaler organizations, and/or national periodical distributors, and/or publishers in specified areas east of the Mississippi River, with one year of service. Due date: March 19, 2019. Marian Settle Memorial Music Scholarship ($1,000): Established in 2015 to honor the memory and musical legacy of Marian Settle, beloved wife, mother, grandmother and educator. Applicants must be graduating seniors of a high school in Fulton, Montgomery or Schoharie counties who are planning to study music or music education or current college students from Fulton, Montgomery or Schoharie counties. Applicants must demonstrate participation in music-related activities in their community and/or school. Due date: March 19, 2019. John G. and Diana S. Waite Scholarship ($1,000): To provide assistance to a student who is a resident of Rensselaer, Albany, or Washington counties and/or a student of Jersey Shore Area Senior High School in Jersey Shore, PA, who wishes to study Architecture, Architectural History, Agriculture, History, or Historic Preservation. Due date: March 19, 2019. Ellen Barrett Bevins Scholarship for Watervliet High School ($2,400): This scholarship will be awarded to a senior from Watervliet High School who plans to attend an accredited trade school, college or university (located in the United States) in pursuit of a degree or vocational certification. The student must demonstrate how he/she has given their time, effort and unselfish commitment to Watervliet High School. Due date: March 19, 2019. Click here to begin application. John A. Boyd Scholarship Fund (two scholarships: $2,000 total for a two-year college OR $4,000 total for a four-year college): The John A. Boyd Scholarship goes each year to one senior planning to attend a four-year college or university and to one senior planning to attend a two-year junior college, each of whom shows outstanding potential for continued success. Due date: March 19, 2019. David C. Maxwell Scholarship ($1,000): This scholarship will be awarded to a senior from Watervliet High School who plans to attend an accredited trade school, college or university (located in the United States) in pursuit of a degree or vocational certification. The student must have taken business courses as part of his or her high school curriculum. Academic achievement is not a major criteria for this award. Due date: March 19, 2019. Click here to begin application. Coach Dan Reinfurt Scholarship ($1,000): This scholarship will be awarded to a Watervliet High School athlete who exemplifies the qualities most admired by Dan Reinfurt in a student athlete: sportsmanship, humility, dedication and belief that he or she can succeed. Due date: March 19, 2019. Click here to begin application. Return to an application in progress.